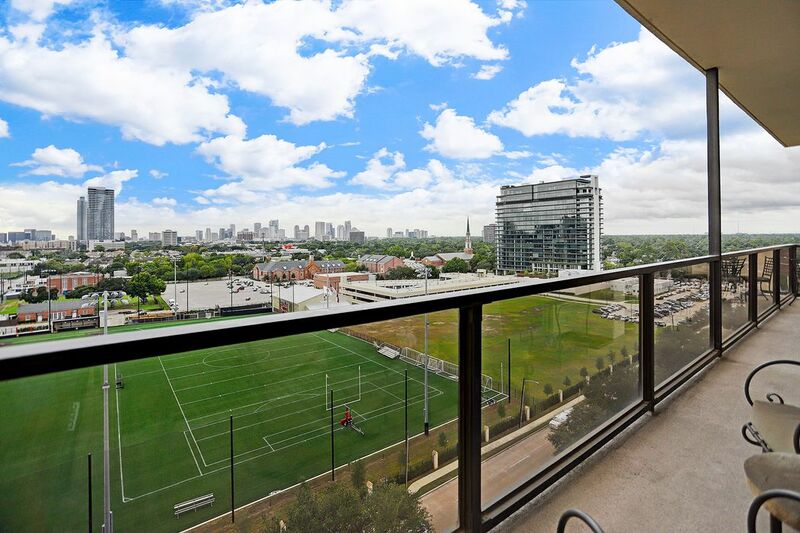 2929 Buffalo Speedway Unit 1002, 1004, 1006, Houston, TX 77098 | Martha Turner Sotheby's International Realty, Inc. Double entry front doors welcome guests into the foyer. The residence is the entire length of the west side of the corridor. 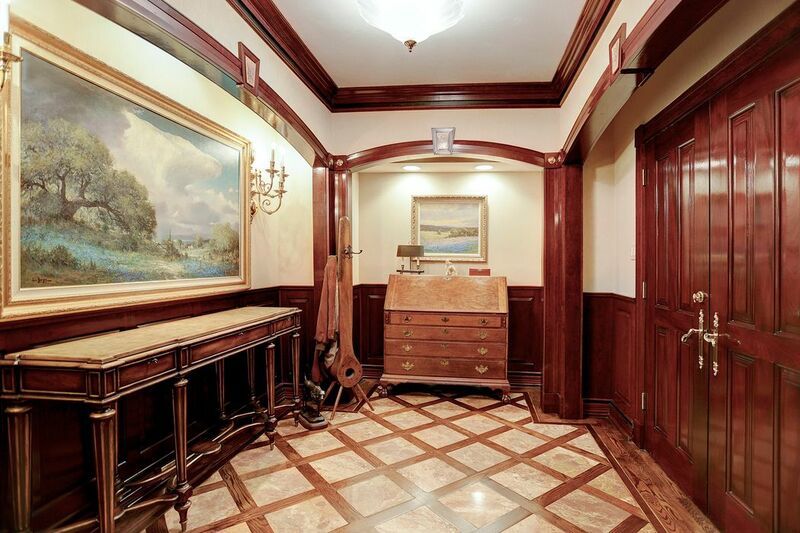 The entry has marble floors inlaid with wood and brass trim. 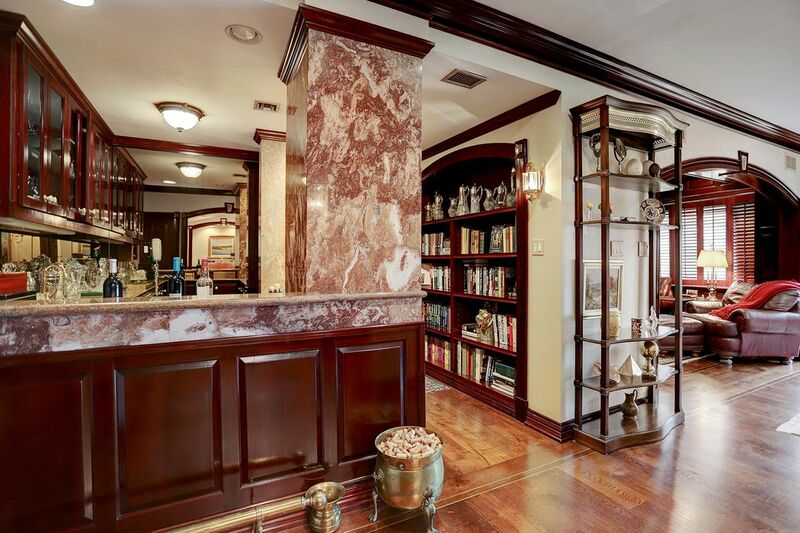 Cherry wood crown molding, baseboards & archways throughout the main living areas. 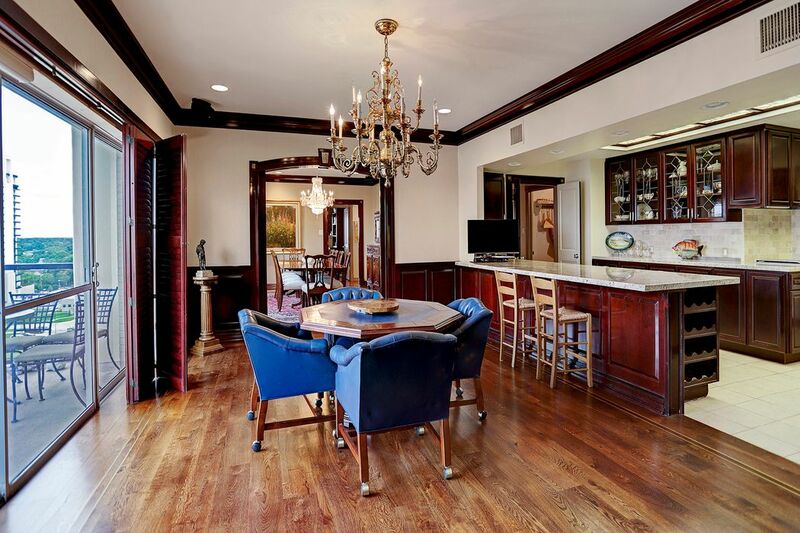 The walk in wet bar has marble counters, glass pane cabinets, a wine fridge plus a ice maker. 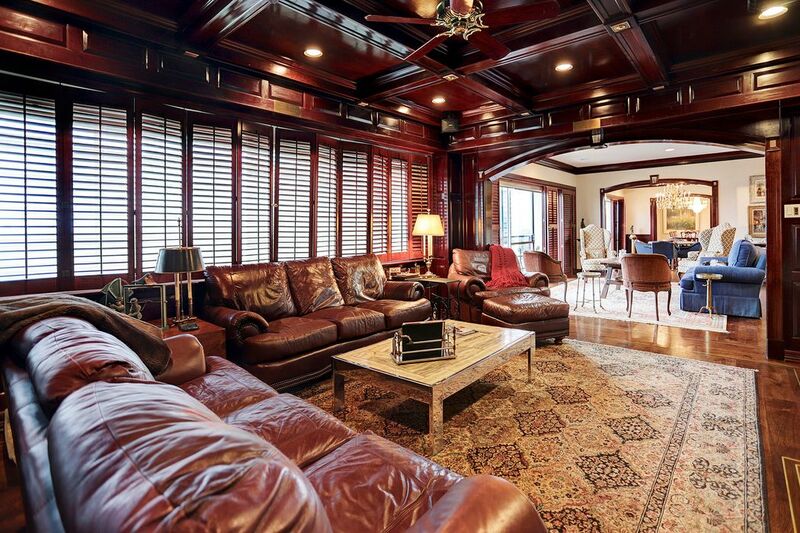 The formal living room is located between the breakfast area and den. The glass wall and sliding doors that lead out to a double balcony. Excluded: the family Shih Tzu "Scamp" relaxing on the couch. 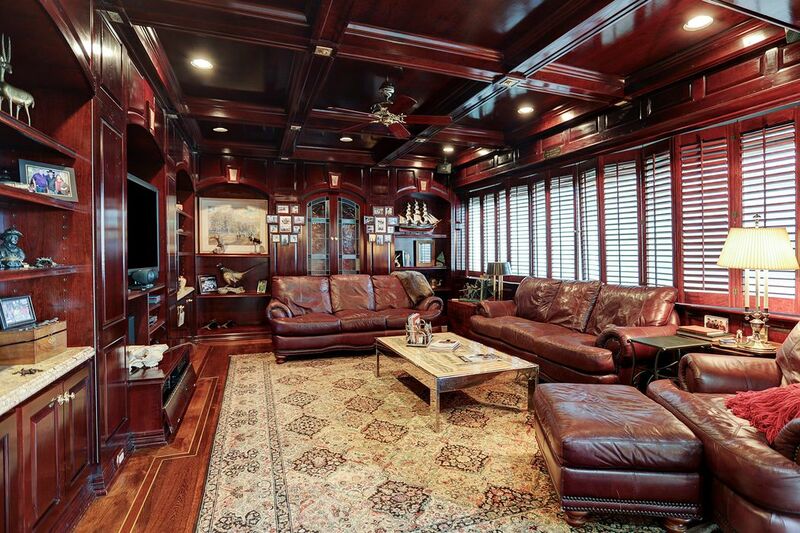 The entire den is covered in rich stained cherry wood, note the coffered ceilings. 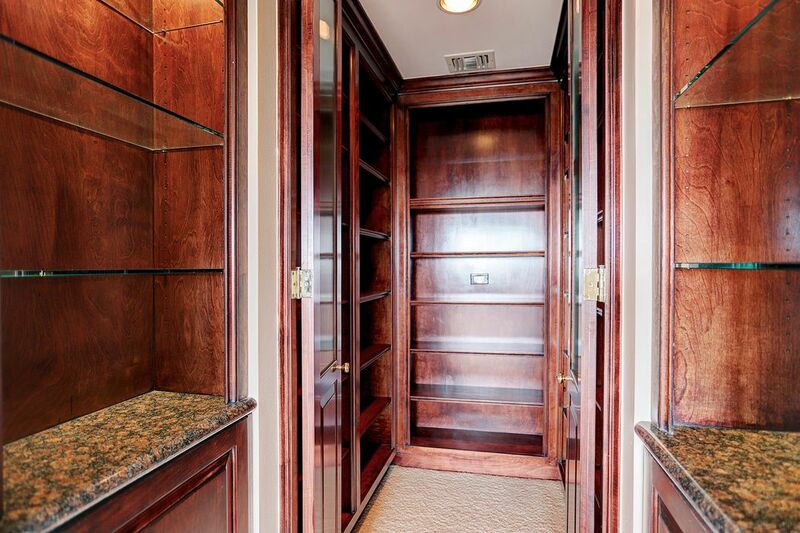 The custom wall unit has plenty of shelves and cabinets plus four closets behind wood paneled hidden doors. The breakfast can easily accommodate a larger table, great area for entertaining while dinner is being prepared. 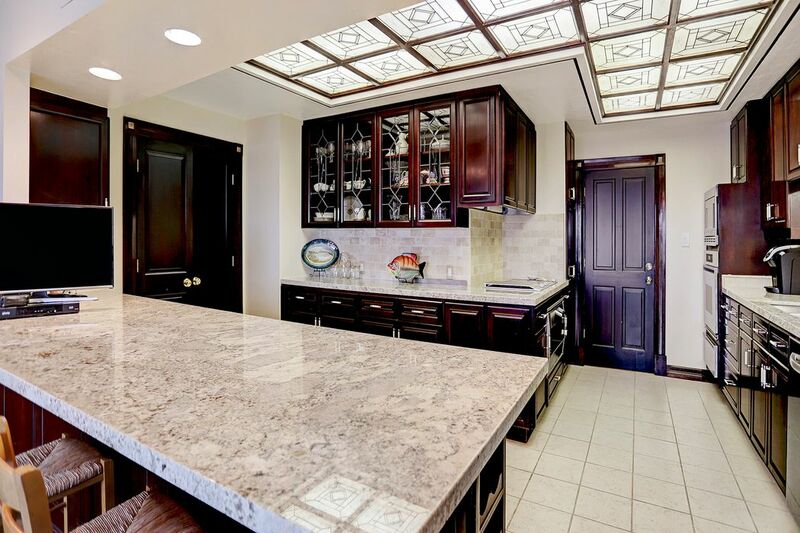 The kitchen was recently updated with beautiful granite counters and stone backsplash. The walk in pantry is not shown & has the subzero freezer. Subzero refrigerator, separate ice maker, Gaggenau electric cooktop & convection oven, Dacor mircrowave & conventional oven & warming drawer. 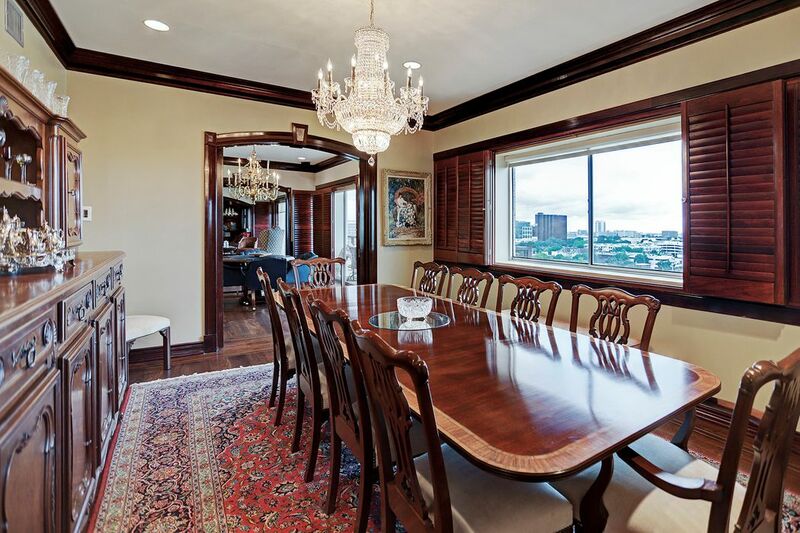 Formal Dining Room, Chandelier is excluded. 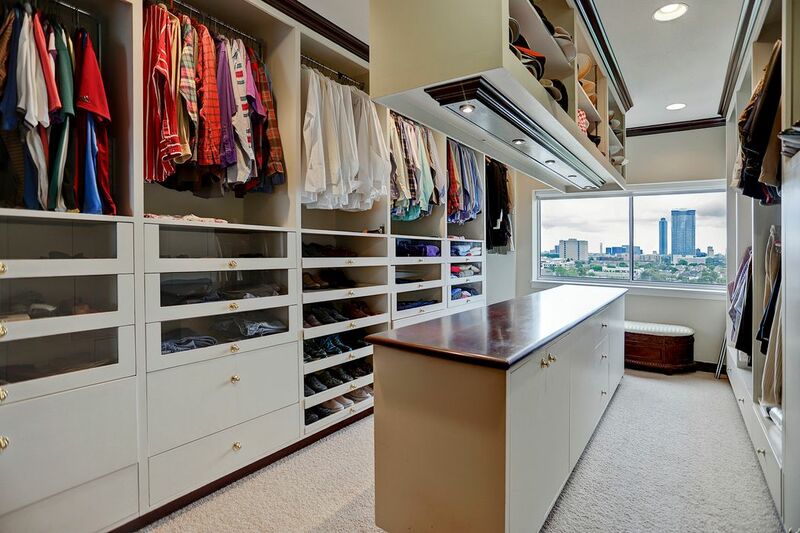 Master bedroom has a wall of closets not shown and a private balcony. 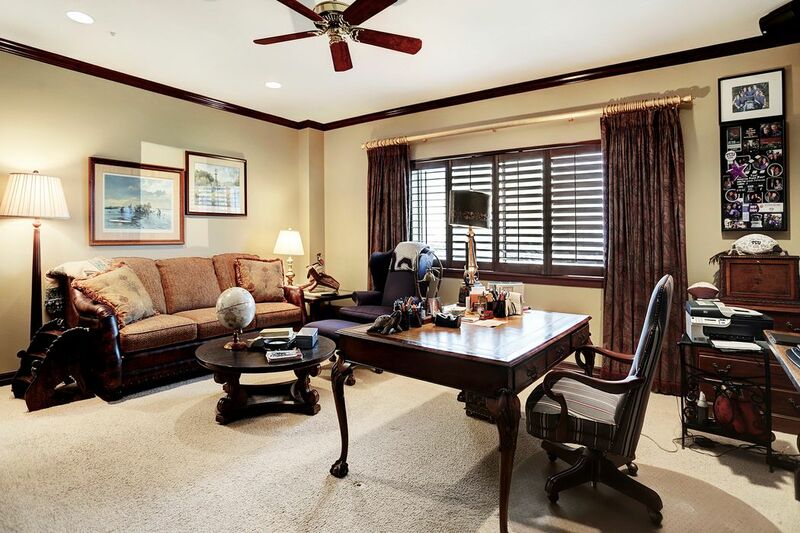 Master bedroom private living room/office. Master bathroom #1 with tub and separate shower. 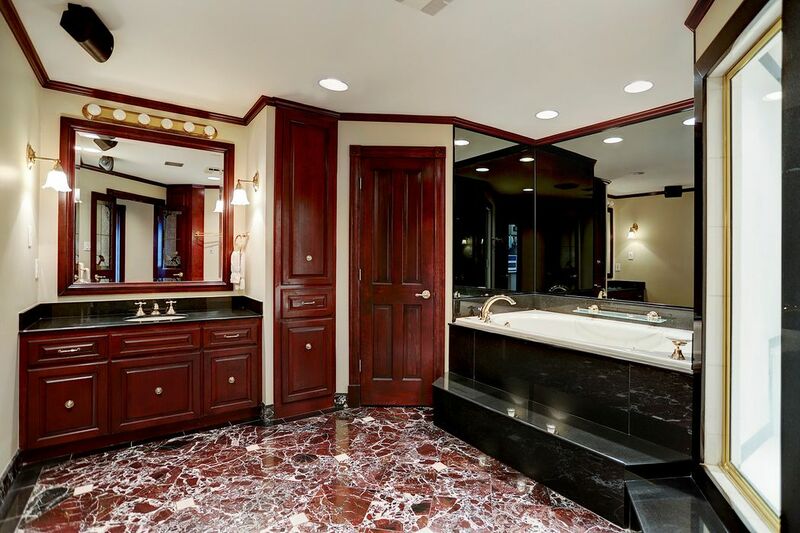 Master bathroom #2 with walk in shower. Secondary guest bedroom with ensuite bathroom. 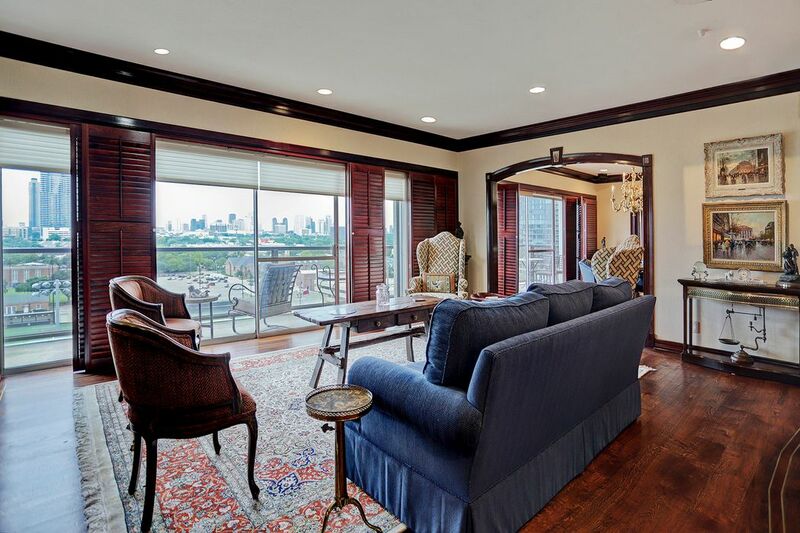 The window has north exposure with views of River Oaks green tree tops & St. John's school. Bedroom #3 presently being used for storage & wine collection. Walk in closet not shown. 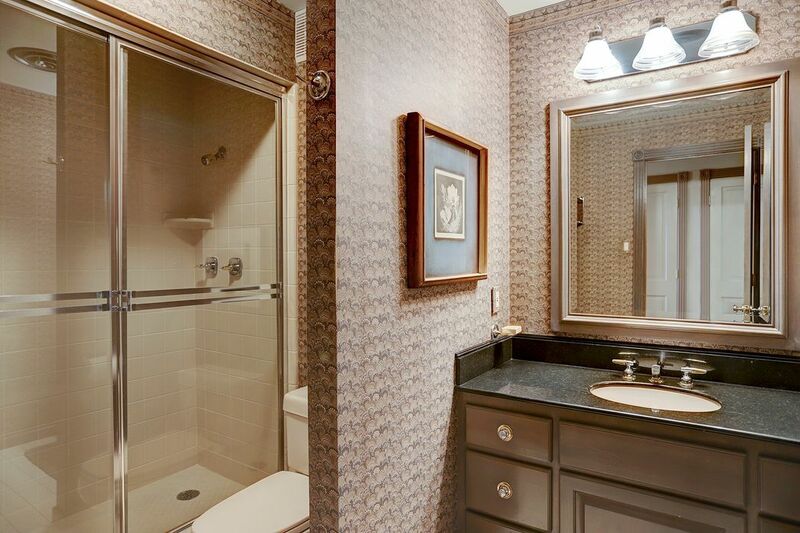 Fourth bathroom down the hall from guest bedroom. Not shown is the powder room & two closets with stacked Bosch washer & dryer sets. View from 10th floor balcony of St. John's, The River Oaks & Galleria. Enjoy beautiful sunsets. The balcony is approximately 40 ft. long by 6 ft. wide. View of Greenway Plaza and the soon to be built RO. 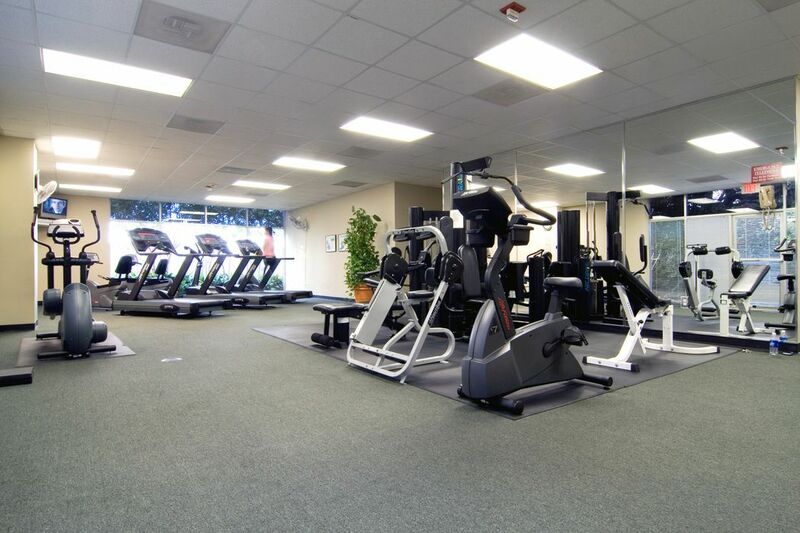 24 hour fitness gym room has two bathrooms and televisions open 7 days a week. 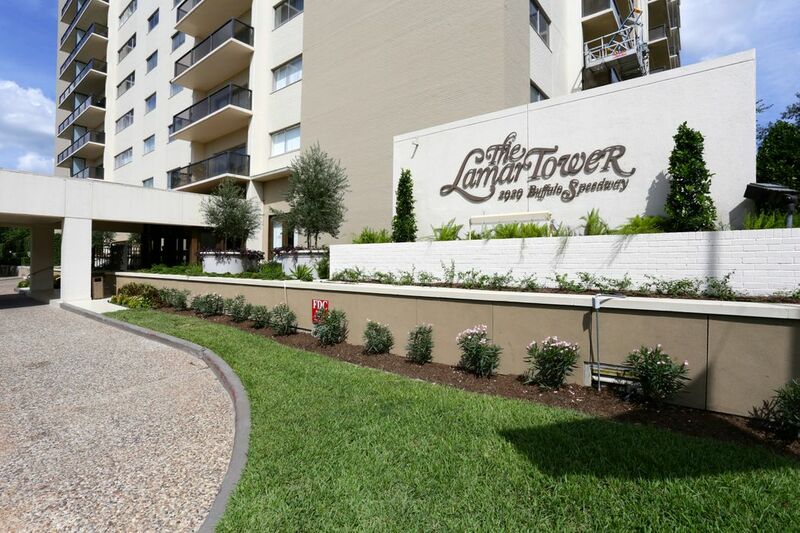 Lamar Tower is a full service high-rise with 24/7 Concierge & Valet & Porter Service. The entire first floor common area is being remodeled and redecorated and will be completed by late December. 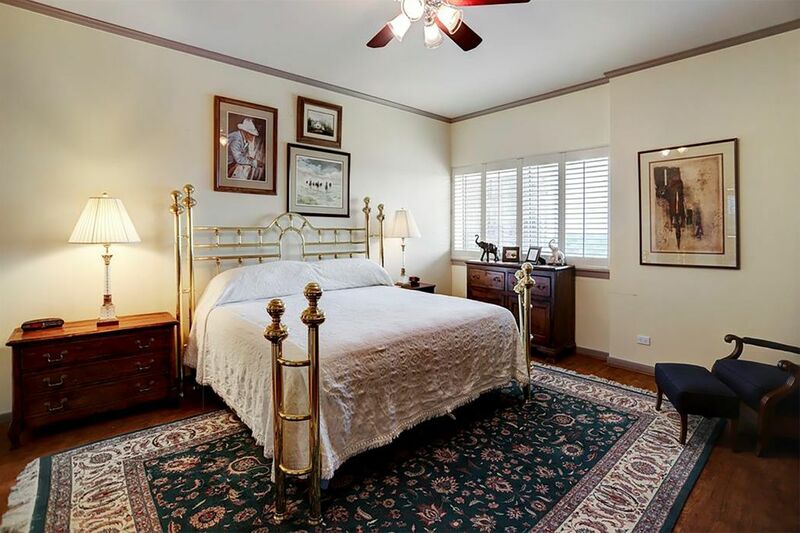 $1,275,000 3 Bedrooms4 Full / 1 Partial Baths4,927 sq. 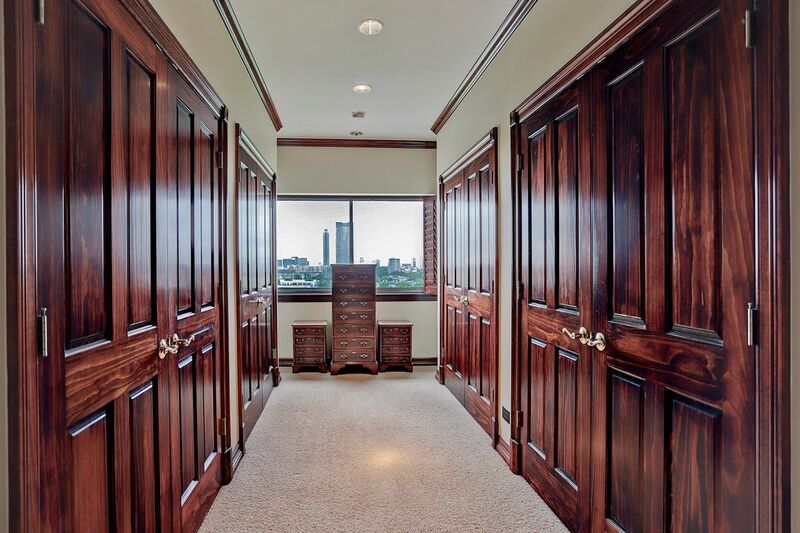 ft.
Classic traditional elegance describes this sophisticated single level residence on an entire west wing of the Lamar Tower. 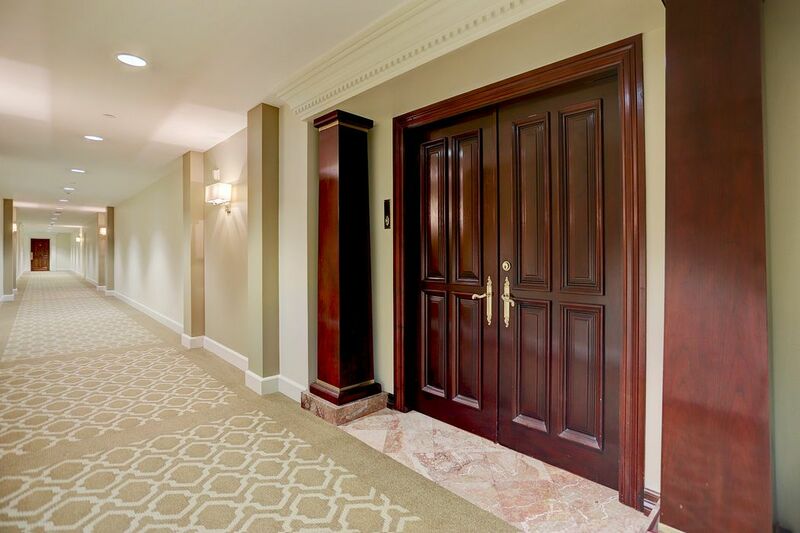 The double door entry opens into an elegant marble foyer that flows into multiple living and dining areas with an open kitchen. 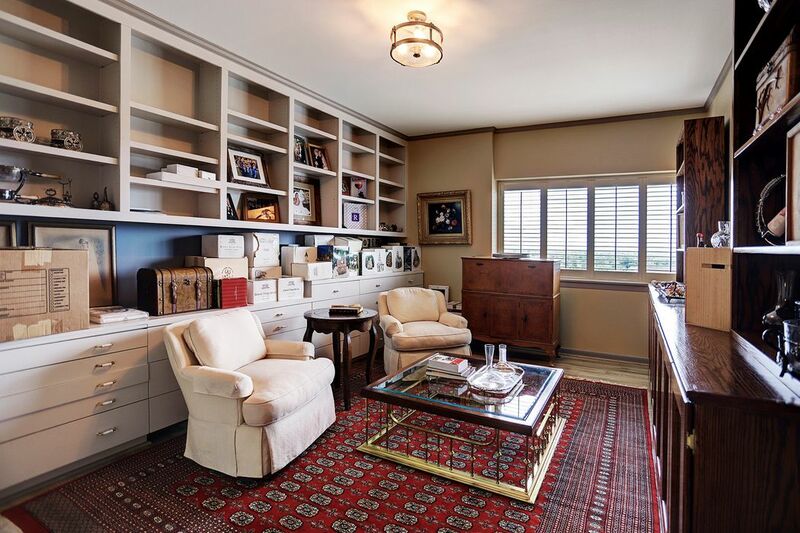 This residence is truly amazing, three individual units were re-designed and re-modeled to create this spacious residence. 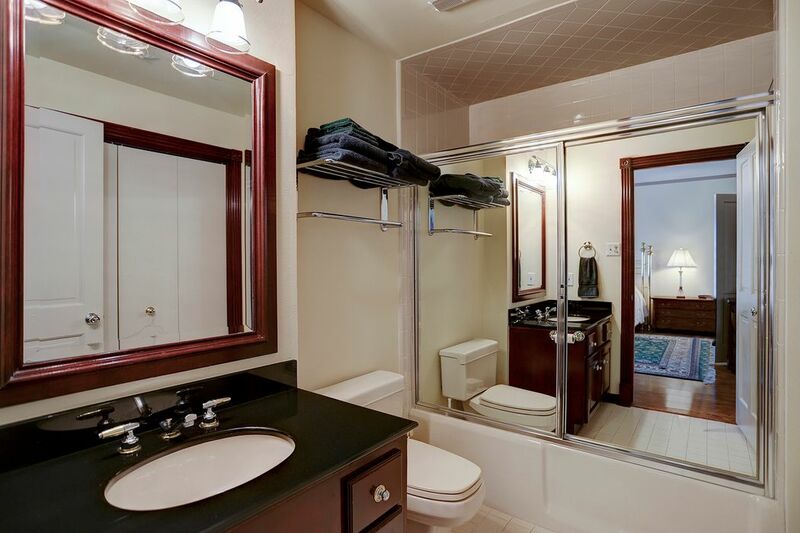 The master suite with two bathrooms, it's own master living room, wonderful closets plus a private balcony. The secondary bedrooms are on the opposite side of the master and living areas which allows guest to have total privacy. 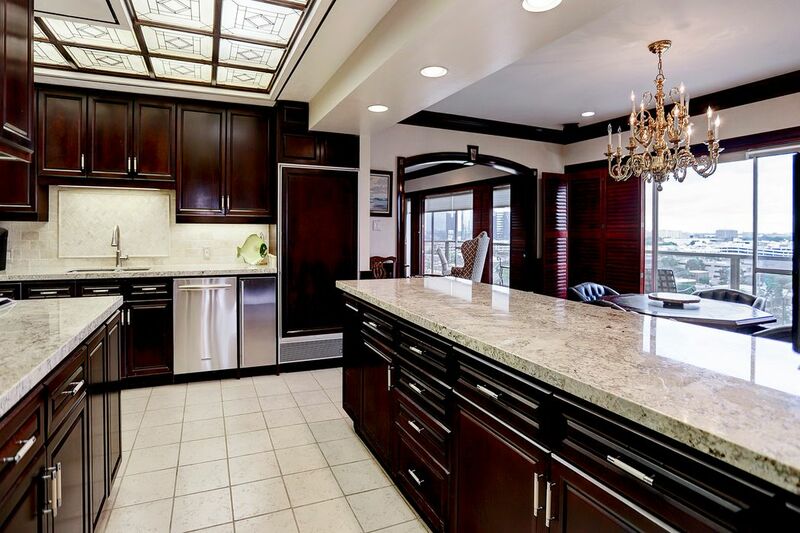 The kitchen was recently tastefully updated with new granite counters and stone back splash. Four assigned parking spaces are included, maintenance fees cover full utilities. 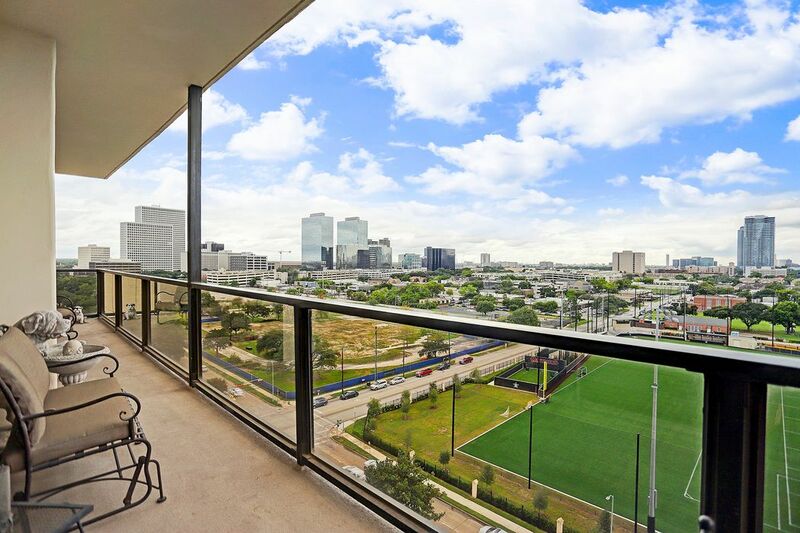 Lamar Tower is a full service high rise with 24/7 concierge and valet, with onsite management office and maintenance department. 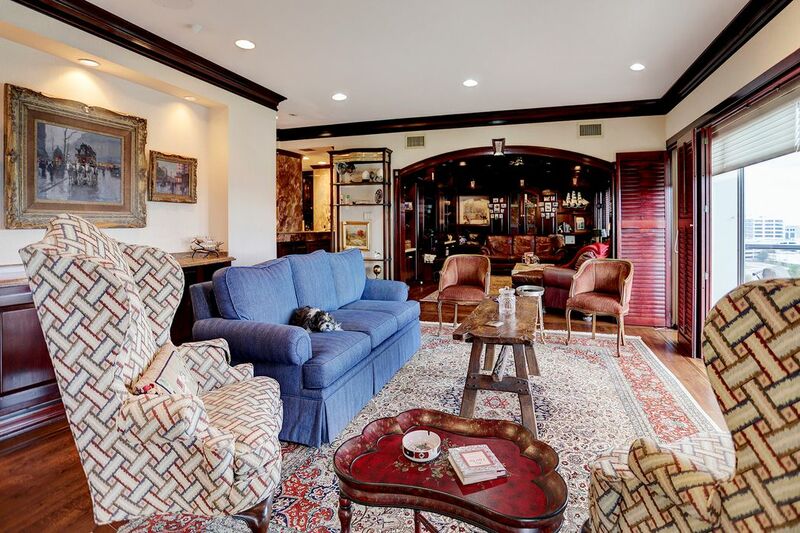 Located in the heart of River Oaks and Upper Kirby this location has it all close by, wonderful shopping, dining, schools, parks and quick access to major freeways.